e i n s t e i n ! 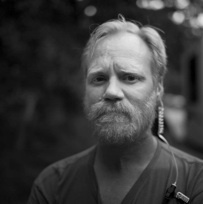 Tom Blomquist is an award-winning writer, producer, and director. His television credits include such popular titles as Farscape, Quantum Leap, Catherine Marshall’s Christy, Nightmare On Elm Street: Freddy’s Nightmares, Swamp Thing, The A-Team, Walker Texas Ranger, and Hunter, as well as the classic late-night NBC talk show Tomorrow with Tom Snyder. Tom additionally directed music videos for ACM Best New Female Artist of the Year Kellie Coffey (Walk On and I Would Die For That) and wrote and directed a feature documentary about Ms. Coffey’s music career, Kellie Coffey: I’m Still Here. 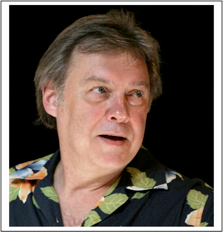 He also served as Production Consultant for Jack Fry’s critically acclaimed stage play They Call Me Mister Fry. Last year, Tom received International Gold CINDY and Special Achievement in Directing Awards from Cinema In Industry for Missed Communication, a corporate communication video. Whoa! a comedy pilot that he directed starring Academy Award Nominee Linda Blair, Emmy Winner Leslie Jordan, Streamy Winner Mark Gantt -- and featuring the inimitable Jack Fry – won top honors at the Independent Film Quarterly festival in Hollywood and the Los Angeles Sunset Film Festival. Tom is a tenured professor of film and television production at California State University, Long Beach. He co-authored the textbook Eye of the Storm: Directing for Film, Television & Emerging Media (Kendall Hunt Publishers, 2013). Peggy O’Neal is a voice actor whose credits include over three hundred episodes of network television sows such as Bones, CSI: Miami, Friday NIght Lights; over three hundred episodes of anime series including Digimon, Ghost in the Shell and Wolf’s Rain, and hit video games like Saint’s Row, Supreme Commander and Ghost Rider. 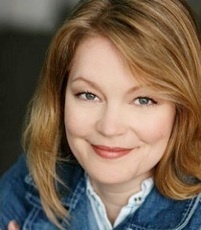 She is also a certified Fitzmaurice Voicework teacher, an adjunct professor at Moorpark College, teaching Voice and Diction and Acting, and has taught Directing at Loyal Marymount University. Recent directing credits include Tell Me My Secrets and It’s Complicated at the Actor’s Workout Studio, and the original children’s theatre script, The Emporium of Antiques, Curiosities and Strange Phenomenon, at Moorpark College. Alexandra Kovacs is an international actor and dancer born and raised in Hungary. At a very young age it was clear that she had a passion and talent for the performing arts where she won numerous poem and novel competitions and excelled on stage in plays and musicals. Her credits include Jesus Christ Superstar, Miss Saigon, Romeo and Juliet,The Seagull, Chapter Two among others. She has studied under numerous great teachers including the world renowned Aaron Speiser. With a background in accounting and a degree in Economics, Alexandra found she enjoyed her passion to entertain even more and has dedicated her life to following that passion. Her diverse career has included both commercial and voice over work and paired with her training, has helped to hone her skills in stage combat, martial arts, and firearms as well as deepened her connection and rapport in working with children and animals alike. Her wide range of strengths and emotions has given her an amazing presence in working in comedy, drama and action roles alike. After graduating from the University of Tulsa with a BA in Theater, John Toom has been a technical director, set and lighting designer for the past 20 years. He brings his scenic and lighting expertise to Einstein!. His past experiences in other production companies include: The Shakespeare Festival of Dallas, Montgomery Ballet, West Virginia Public Theater, and multiple companies around Los Angeles to name a few. He would like to thank Jack Fry for the opportunity to be part of such an amazing show. Professor Ronald L. Mallett received his B.S., M.S. and Ph.D. in physics from the Pennsylvania State University. 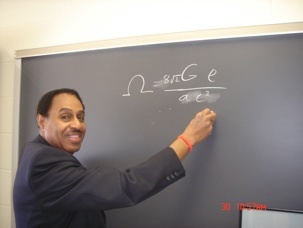 He worked for United Technologies from 1973-5, and in 1975 joined the physics faculty at the University of Connecticut in Storrs where he is currently a research professor of physics. In November 2015, Professor Mallett joined the World Patent Marketing Advisory Board. Professor Mallett has published numerous papers on black holes and cosmology in professional journals. His breakthrough research on time travel has been featured extensively in print and broadcast media around the world. Professor Mallett’s recently published memoir “Time Traveler: A Scientist’s Personal Mission to Make Time Travel a Reality” has been translated into Korean, Chinese, and Japanese. The filmmaker Spike Lee has written a script for a feature film of the book.